Elly Griffiths, along with Phil Rickman, is one of my go-to authors when I want a reliably entertaining page-turner, a nice, light, easy read with familiar characters I can greet like old friends. Having previously finished Cormac McCarthy's The Road - brilliant, but profoundly and relentlessly depressing - Dying Fall was an ideal choice. 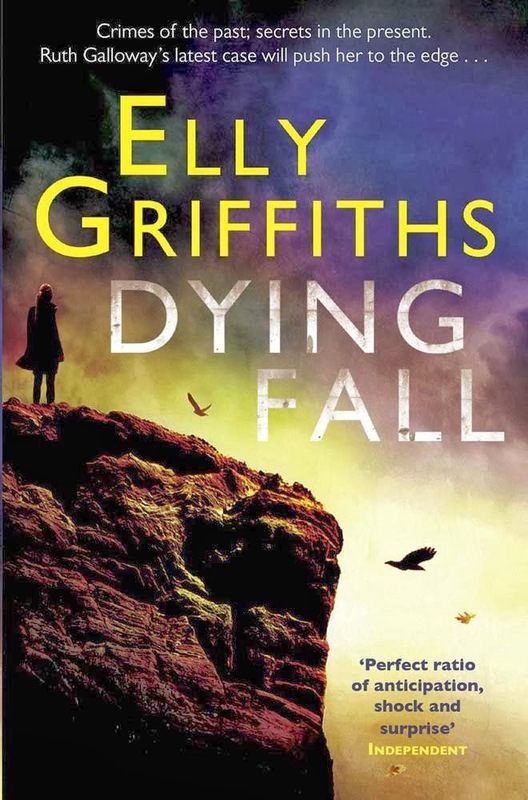 I've reviewed the previous books in Elly Griffith's Ruth Galloway mystery series before, but to recap, Ruth is a forensic archaeologist based at a Norfolk university who is sometimes called upon by the local police to assist with the dating and identifying of long-buried bones. Central to the books is her complicated non-relationship with DCI Harry Nelson, a married man who is also, thanks to an ill-advised liaison a couple of years previously, the father of Ruth's toddler. Ruth, essentially a slightly overweight academic nerd, is far from a conventional heroine and Nelson, despite appearances, is not quite the Gene Hunt figure he might seem at first glance. In this instalment in the series Ruth becomes embroiled in an archaeological investigation started by her old university friend Dan Golding, recently killed, possibly deliberately, in a fire at his home in Lancashire. Dan has discovered an ancient burial site that could have immense historical significance - but why are there others who seem intent on stopping Ruth from carrying on with his work, and what's the connection with a local far-right organisation called the White Hand? The mystery at the heart of Dying Fall is fun and engaging, albeit largely improbable and occasionally bordering on daft, and I can't pretend I didn't find the final revelation of whodunnit somewhat disappointing. But as always, the mystery plot is really of secondary importance to the characters who are pleasingly three-dimensional and rarely stereotypical - just when you think they might be edging into cliche, they'll always surprise you. Moreover, Dying Fall is frequently funny, full of acerbic observations and sly wit. Like its predecessors in the series, it has a warmth to it, a sort of friendliness that, despite the tension of the mystery and the danger in which Ruth finds herself, makes it a pleasantly comforting and familiar read.